(Nanowerk News) In an era of declining budgets and adversaries’ evolving capabilities, quick, affordable and routine access to space is increasingly critical for both national and economic security. Current satellite launch systems, however, require scheduling years in advance for a handful of available slots. Launches often cost hundreds of millions of dollars each, in large part to the massive amounts of dedicated infrastructure and personnel required. 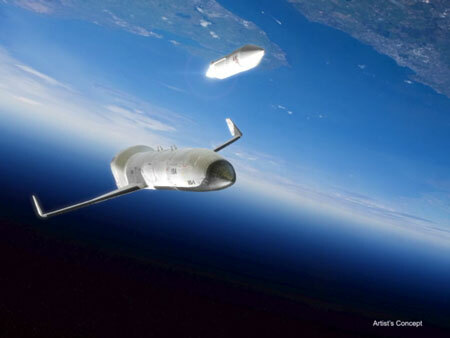 Artist's concept of DARPA's Experimental Spaceplane (XS-1) program.